Your guide to reducing, reusing and recycling in San Luis Obispo County. Top Troublemakers: Don’t Recycle These! Get involved! Become a member of the Zero Waste Business Council and receive resources and guidance on the quest to becoming a Zero Waste Business. Get educated! Read up on How to Start an Office Recycling Program from Inc. magazine or the Top 20 Tips to Reduce Waste in the Workplace from edie.net. 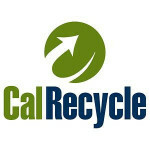 You can also explore CalRecycle’s extensive resources, including Information for Coordinators of Waste Reduction and Recycling Programs and Business Waste Reduction. Replace disposable cups with reusable mugs and glasses. If an employee has one beverage a day, switching to a reusable mug or glass can save more than 200 cups from being thrown away per person each year. Purchase only 100 percent recycled paper and as many other recycled or green office supplies as possible. 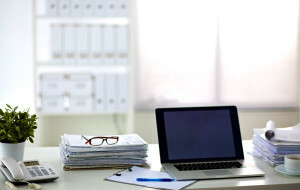 Even better, implement policies to reduce overall paper usage. 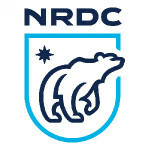 The NRDC’s Green Your Office offers resources for making this happen. Through simple changes like defaulting to double-sided printing and reusing scrap paper, one EPA office cut paper usage by 30 percent, saving $49,000 a year. Implement an organics recycling program for all food scraps, even if your business is not specifically required to under the Commercial Organics Recycling Law (AB 1826). 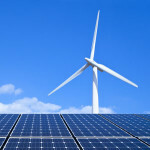 To get started, read these guides by Green Action Centre and Sustainable America. Place recycling bins in prominent locations for printer cartridges, batteries and e-waste. An added benefit is this offers employees an easy way to dispose of these from their homes. 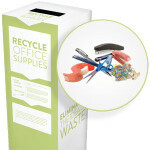 Get a TerraCycle® Zero Waste Box for your office supplies, printer cartridges or break room. You can also check out the full range of Zero Waste Boxes to see if your business disposes of any items that TerraCycle recycles. Get your business off of mailing lists. To request removal from Dun & Bradstreet’s huge list, call 1-800-234-3867 or send an email to customerservice@dnb.com. Host a Friday File Fling. Have office workers purge file boxes and folders to recycle unneeded documents. In Australia, one day each November is dedicated to file flinging, but you may choose to host your event any time of the year. Use prompt cards to encourage positive behavior in the workplace. Challenge For Sustainability suggests using these friendly reminders to get employees to turn their computers off at night. 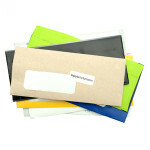 Download free prompts from Recycle Reminders or order free stickers from Universal Eco-Symbol. Cut down on employee miles with these tips on How to Make a Trip-Reduction Program Successful by HRO Today. If you want to go beyond recycling to achieve a green and sustainable workplace, you can receive national and local government incentives. Find out more from the Department of Energy and dsireusa.org. The information on this site is for informational purposes only and should not be construed as a recommendation or endorsement by the San Luis Obispo County Integrated Waste Management Authority (IWMA) or Citizen Communications, LLC. This site is not complete with respect to the products, services or institutions it lists. It is not meant to be exclusive or exclusionary in any way and it does not vouch for the capabilities, trustworthiness or performance of any individual, business or institution listed in this site. The IWMA shall not be liable or responsible to any person or entity for any loss or damage caused, or alleged to have been caused, directly or indirectly by or from the information or ideas contained, suggested or referenced in this site.